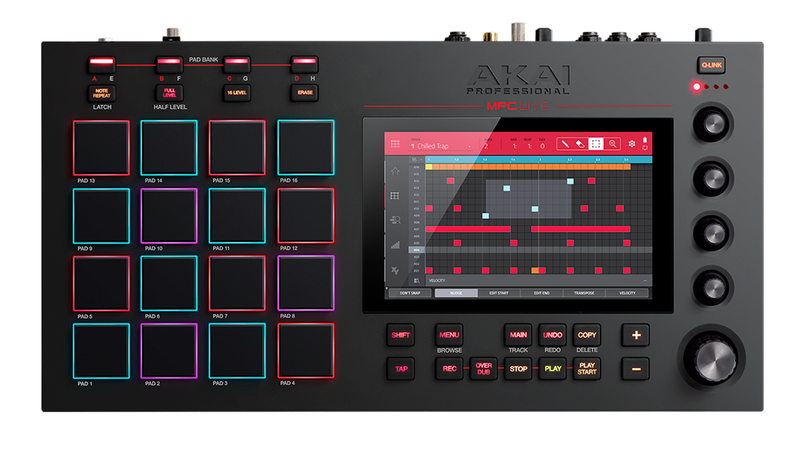 Akai’s latest addition to their iconic MPC line, the Professional MPC Live, has won a prestigious 2018 TEC Award. In its 33rd year, the NAMM TEC Awards are widely considered to be the “Oscars” of the professional music and production industry. By combining the power of a production centerpiece with the portability and rugged design of onstage gear, the MPC Live lets you easily switch from creator to performer and bring the studio to the stage. It’s also extremely portable, weighing in at just 5.5 lbs with a long-lasting rechargeable lithium-ion battery. Packing 16 gigs of on-board storage, the MPC Live features numerous ways to take your sample library and MPC sessions anywhere. Congratulations to Akai for winning this achievement in technical excellence and creativity. The MPC Live is available now for $1,199. Check out Akai’s website for more information and let us know what you think of this product. We want to hear from you! Did you miss NAMM 2018? Find all the highlights here.